When I first heard that SF Shakes was doing Taming of the Shrew, I wondered how anyone could take on this play now, here in San Francisco. Rebecca Ennals makes a strong case for looking beneath the surface anti-feminism and fighting. I can’t wait to see the performance. 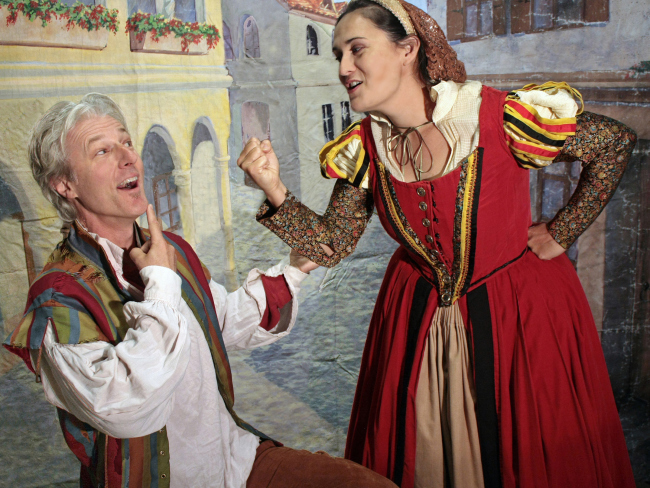 Tim Kniffin (Petruccio) and Carla Pantoja (Katherina) in SF Shakes’ upcoming production of The Taming of the Shrew.